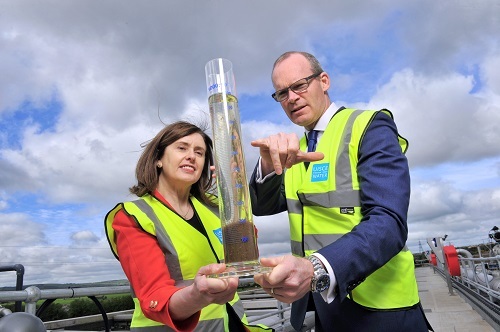 Cork South-Central TD Simon Coveney has welcomed a progress report from Irish Water on preventing all raw sewage from being pumped in Cork’s Lower Harbour. The update shows that in the last 3-years the daily equivalent of 20,000 wheelie bins of raw sewage has been prevented from being released into the harbour. By the time it is completed, all wastewater from Carrigaline, Ringaskiddy, Cobh, Passage West, Glenbrook, Monkstown and Shanbally will be fully treated before being safely returned to the environment. Substantial progress has been made to date, including the opening of the treatment plant in Shanbally in April 2017 and the construction of a new sewer network around Carrigaline, Shanbally and Ringaskiddy. Work is currently underway in the Passage West-Monkstown area to build new pumping stations and sewers to take wastewater from homes and businesses in the area to the treatment plant in Shanbally. An important milestone was reached in Monkstown recently with the installation of the underground structure that will house the pumping station at Monkstown carpark. This structure – or ‘caisson’ – was built above ground and then sunk into its final position in order to minimise the time and disruption associated with constructing it underground. Towards the end of this year Irish Water will be moving into the next phase of the project involving the construction of a pipeline across the harbour which will connect Cobh to the new wastewater treatment network.